Savien Cyrano de Bergerac (1619-1655) French soldier, satirist, and dramatist, whose life has been the basis of many romantic but unhistorical legends. 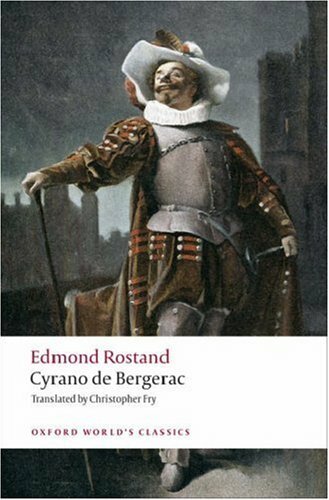 The best-known of them is Edmond Rostand's verse drama Cyrano de Bergerac (1897). Bergerac's major works were two posthumously published accounts of fantastic voyages, VOYAGE DANS LA LUNE (1657) and L'HISTOIRE DES ï¿½TATS ET EMPIRES DU SOLEIL (1662). popular success in London and the provinces. This clever medieval conceit was produced in New York, and received the Drama Critics Circle Award for 1950. Sir Laurence Olivier commissioned Venus Observed (1950), a play about middle age, the autumn section of what has come to be a cycle of seasonal plays. The winter play, The Dark Is Light Enough (1954), followed two years later. Set in 1848, during the Hungarian revolution against the Austrian empire, it takes a moral stand against any use of violence. (An antiwar morality play, A Sleep of Prisoners, had been produced in 1951.) It was more than a decade before Fry's summer comedy, A Yard of Sun (1970), was published. Fry's relation to T. S. Eliot is interesting. Like him, Fry is a Christian verse dramatist. He has set a play (like Eliot) in a church (A Sleep of Prisoners); he has written a historical study of Becket and Henry II (Curtmantle, 1962). And, like Eliot, Fry has achieved a loose, speakable verse. Yet their differences are equally instructive. Fry's verse, unlike Eliot's functional amble, strives to be poetic, with flamboyant energy and arresting wit. The same theatricality is evident in, say, his Becket play, in which he replaces the introspection of Eliot's martyr with the strong clash of personalities. The Lady's Not for Burning ---which was performed alongside Eliot's The Cocktail Party (1949) in 1949---is a downright, if intellectual, comedy, unlike the dry drawing-room enigma of Eliot. As a translator-adaptor, Fry seems almost single-handedly responsible for the postwar English vogue of modern French writers. His version of Jean Giraudoux's The Trojan War Will Not Take Place (a transatlantic success in 1959, when it was retitled Tiger at the Gates) was revived at the National Theatre in 1984, directed by Harold Pinter. Fry is also a screenwriter (John Huston's The Bible, William Wyler's Ben Hur) and composer.